It’s never easy to find a a minibus insurance quote out there that’s just right for you and your minibus. With a wide variety of minibus usages and specialist cover types, the difficulty can be in locating that minibus insurance quote that is tailored to you and your transportation needs. We’re here to remove the hassle from finding that minibus insurance quote, so click below and get your mainline to minibus cover today! For many out there, the minibus is the happy medium of transportation. Bigger than a car, smaller than a bus and far more comfier than a works van. Yes, you’re good friend the minibus can offer you the key to taking small groups of people wherever they need to go. 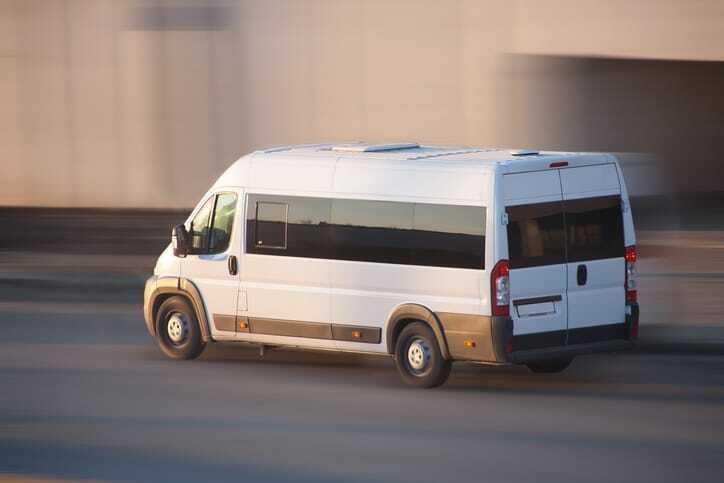 For the most part, minibuses are used for commercial purposes and/or for hire and reward. If your minibus has less than 9 seats, then it’s not really a minibus! It’s more likely to be classed a van or a mini-cab. There are some minibus owners who don’t use their vehicle for hire and reward reasons. For these people, the best bet for cover is to try looking at commercial minibus or 9 seater minibus insurance quotes. If you own a minibus and fall into one of these categories above, then you will definitely be needing some minibus insurance. If you have a drivers licence for cars, you might be able to drive a minibus without any additional tests. More information on conditions you need to meet can be found on the official UK government website. As mentioned, you can get commercial minibus insurance and taxi minibus insurance. It all depends on what exactly you’re using the vehicle for. If you aren’t carrying passengers for hire and reward, then commercial or private (depending on how you use your minibus) insurance is what you’ll be needing. This kind of policy will provide you with all the usual cover that you would get for any standard van insurance. If you are transporting passengers for hire and reward with your minibus though, then you’ll need insurance to allow your vehicle to be covered as if it’s a taxi. With this kind of insurance, you’ll need certain cover types which we’ll explain below. Public or Private Hire – These are common minibus taxi insurance cover types. Public hire is for vehicles that can be hailed by people on the street, and private hire requires pre-booking. Most minibuses will likely need private hire cover, as opposed to private hire. Public Liability – This will cover you in the event that any members of the public are injured, or property is damaged, as a result of your business. Any Driver – This cover allows any legally-permitted driver (with the insurance policyholder’s permission) in your organisation to drive the minibus. Breakdown Cover – With this additional form of cover, your minibus will be covered for any breakdown assistance that is required from a specialist breakdown provider. Fully Comprehensive – Minibus insurance can cover you for all damages as a result of an accident; to both your own vehicle and any other vehicle that’s also damaged in an accident. Plus, comprehensive insurance can also provide fire and theft damage cover, windscreen cover, personal effects cover and medical costs. MPVs (multi-purpose vehicles) can sometimes be covered under minibus insurance, but more often are covered under car insurance. Value of the Minibus – The value of your minibus is going to be one of the biggest determining factors when it comes to the cost of an insurance policy. Insurance providers must take into account the possibility of your minibus being written off and therefore needing to be replaced. The value of the vehicle’s parts will also have an effect on cost. Age of the Driver – Drivers who are 25 years old, or younger, will usually pay more for their insurance. This is simply because they’re more likely to make a claim than older drivers. Consider who is named on your policy, and if they’re younger than 25, do they need to be named? How Secure the Minibus is – If your minibus is left parked on the street without any security measures fitted, then you’re insurance costs will be more than if it was securely parked with an alarm, immobiliser and steering wheel lock. Insurers will charge you more for lack of security! Level of Cover – Of course, the number of options you have included in the policy will also affect the cost of insurance. But remember: you get what you pay for! Comprehensive and high-levels of cover can raise costs, but provide peace of mind. Secure Your Vehicle – Minibuses are expensive vehicles and this makes them a target for thieves. If possible, park your minibus in a locked garage whenever it’s not being used. As a very minimum, you should have it fitted with an alarm and immobiliser. Taking these measures will likely reduce the cost of your policy. Get Multiple Quotes – Getting quotes for minibus insurance is now incredibly easy to do online. When you can compare multiple quotes side by side, you can make a much more informed decision regarding who to get your insurance with. Shop Around – The other advantage to getting quotes online, is the ability to shop around at renewal. You can find multiple new quotes to compare to your existing insurance when it comes up for renewal. Pay Annually – If you’re able to pay for your insurance annually, then you should always do this. Paying monthly by direct debit can add extra costs to your insurance premium. One of the very best ways to save money on minibus insurance, is by getting multiple quotes. You can now do this all from one place. By clicking the button below, and providing a few details, you’ll have access to tailored quotes from a panel of minibus insurance specialists. Then all you have to do is decide which offers you the best value for money. It really is as simple as that! Click below to get started and get your minibus insurance today.